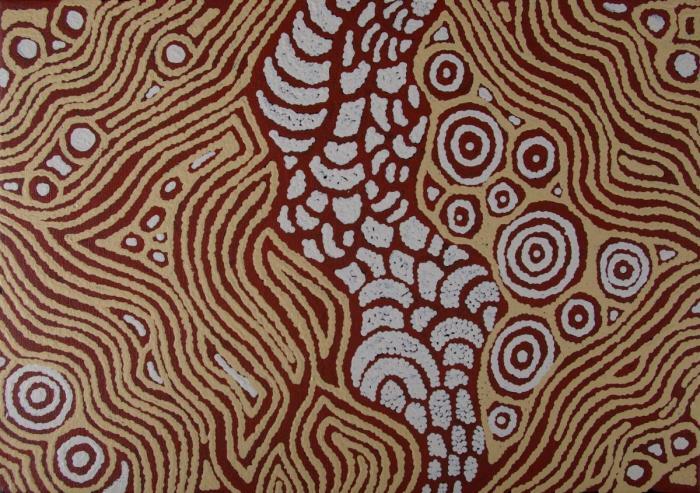 Monica paints her grandmother's dreaming and often spends time at her community's sacred sites, especially the women's cave, a place of resting and healing. In this piece we see an aerial overview of her homelands, with the concentric circles representing various holy places. The wavy parallel lines represent 'tali' sand hills. Monica is the daughter of Kirindji Kuku Tjungurrayi. She is married to Kenny Lilias and related to Yakarri and Payu West. 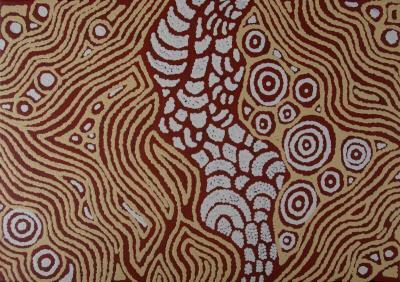 She is also the half sister of acclaimed artist Joseph Jurra Tjapaltjarri, who was elected as Chairman for Papunya Tula Artists in 1999. 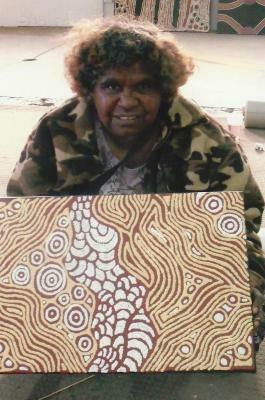 Other members of her extended family also played an important role in the establishment of the Papunya Tula Arts movement in the 1 . . .